I arrived in New York on October 31st in order to be part of the 3rd module of IESE’s Advanced Management Program in Media & Entertainment. This was the same day that Sayfullo Habibullaevic Saipov, an immigrant from Uzbekistan, decided to drive a rented pick up truck down a bike lane in lower Manhattan killing eight people and injuring a number of others. Mr. Habubullaevic apparently committed the attack in the name of the Islamic State but it is unclear if he had any connection with the organization or just chose to commit an outrageous act in the name of his own twisted interpretation of Islam. What struck me most was the reaction of New York City. 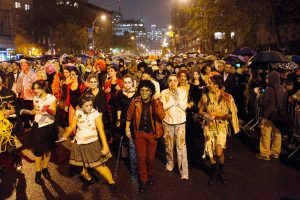 I had just arrive in town and met my 26 year old daughter ,who riders her bicycle up and down New York’s bike lanes almost every day, and the biggest issue for us was to ind a nice place for dinner despite the Halloween Parade which was scheduled to begin just a few blocks from the terrorist attack. The essential logic of terrorism is to bring civil society to a standstill by terrifying ordinary people and making them stop their day to day activities. In this sense Mr. Habibullaevic’s plan was a total failure as New York City went on about its business and the parade proceeded as scheduled. The reality is that 8 people killed in New York, while clearly a devastating tragedy, is simply part of life in the big city and is much better than it once was. In 1990, for example, 2,262 people were murdered in the city of New York and this number dropped to 998 in 2016 and is on track to be even lower in 2017. for the current rate of crime in the city, you can look at the statistics on the NYPD web site here. Another issue is that we are increasingly accustomed to hearing about terrorist attacks and after Berlin. Nice, London, Charlottesville, and Stockholm, we are getting used to deranged individuals using their vehicles as weapons of mass murder. 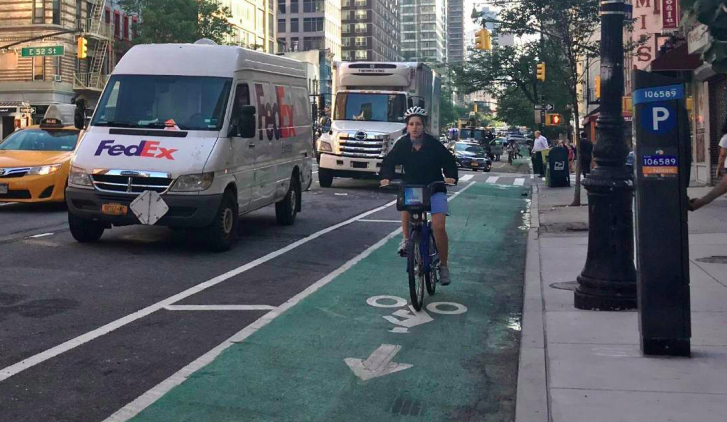 A final part of the story is New York is actually getting even more serious abut its bike lanes as a result of the attack and is installing concrete barriers to protect cyclists from traffic. According to statistics, about half a million New Yorkers ride their bikes along the city’s approximately 100 miles of bike lanes. 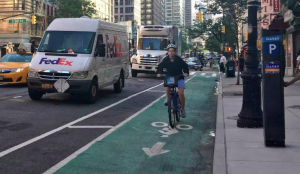 The bike lanes, however, are not generally physically separated from the rest fo the road and are often interrupted by delivery vans, Uber drivers, and anyone else who needs to pull over for a few minutes. The latest idea is to install concrete blocks to physically separate the bike lanes from the traffic. New York is simply amazing. 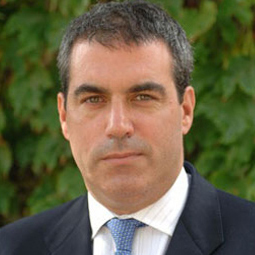 Its resilience is tremendous as is the practicality of New Yorkers and their government. Bike lanes make the city cleaner, more livable and better by just about any perspective. Since after Tuesday’s attack, it is also clear that cyclists are an easy target for crazy people who have a vehicle, and the city will now put up barriers to keep that from happening the next time. What is also clear is that there will be a next time and New York will keep on keeping on, as it has always done. Only a few days after the attack, approximately 50,000 men and women participated in the New York City Marathon which culminated in the epic win by Shalane Flanagan for the women. New York is truly one of the world’s greatest cities.